Cunning Internet tricksters are behind a cruel method of conning unsuspecting Brits out of their cash and this time they’re using puppies to pull off the heartless swindle. International Internet fraudsters, commonly based in Africa or the Middle East are behind the scam which aims to con British dog breeders out of thousands of pounds. The conmen are sending emails to breeders who have puppies for sale and are asking if they would be able to put a deposit down on a puppy or even several pups with a view to the breeder setting the dogs aside to be collected when they are old enough to leave their mother. The emails, usually in written in poor English, will ask for the price of the puppy, before arranging a convenient date for collection with the breeder. The emails seem legitimate and in many cases they are so cleverly composed that the sender appears to be the perfect dog owner, expressing concerns about health and the well being of the dogs and explaining to the breeder why they are particularly interested in owning one of their pedigree dogs. Breeders are often keen to accept deposits on puppies prior to sale in order to ensure new homes are secured in good time and to protect against potential sales to people who might be buying a dog on impulse, this is why the scam has caught many breeders off guard. Having taken the time to research the breeder and present themselves as ideal new dog owners, the fraudsters then prepare to trick the breeder out of his or her money. Once the vendor has given the prospective buyer a price and agrees that they will accept a deposit to put one of their puppies aside, the buyer issues a cheque and sends it to the breeder. However, when the cheque arrives the breeder will find that the fraudster has written out an amount greater than the agreed deposit price. Relying on the honesty of the breeder, the scammer awaits notification from the breeder that they have sent too much for the deposit and will then explain that this was an oversight due to being so excited about owning their new puppy, they will then ask for the difference to be sent back to them so they can go ahead and start purchasing care equipment and food for their new pup in time for the collection date. They will always tell the breeder that they will pay the outstanding amount in cash (British Sterling) upon collection, thus enhancing the trust between themselves and the breeder. The scam relies on the breeder writing out a cheque to refund the difference from the scam artist’s ‘overpaid’ deposit at the same time as paying the fraudster’s cheque into their own account. Of course, by the time the breeder finds out the original cheque sent by the would-be puppy purchaser has bounced, their own cheque will have been received and cashed by the heartless conmen, leaving the breeder out of pocket and the puppy looking for new owners having been set aside from other possible genuine buyers. An equally worrying aspect of the scam, aside from the financial loss to the breeder is the fact that the puppies can often be left in the lurch as the breeder would have unwittingly told other possible buyers that the pup in question was not for sale due to a deposit being paid on it. By the time the scam has unfolded the puppy is possibly 3 to 4 weeks older and previously interested purchasers are likely to have purchased a new dog from another source. The heartless crooks prey on the breeder’s desire to secure homes for their puppies as early as possible thus allowing the scamsters to successfully pull off their con. The fact that the ‘product’ in question is a live animal also seems to have opened the door to the fraudsters who have discovered that breeders tend to be more trusting in their dealings and don’t suspect for a moment that they may be about to get ripped off. Subject: I HAVE AN INTREST !!! I am jennifer smith a model currently working in West Africa on modelling tour and am interesting in buying one of your puppies. I will like to know the final price of your puppies so that I can issue and mail a payment to you. Please get back to me with your full name and contact address so we can issue a deposit payment to you for one of your puppies. Let me know your mode of payment. How to tell if the email your receive is bogus. The sender attempts to arrange for the puppy to be ‘shipped’ or ‘delivered’. The sender shows no interest in viewing the puppy with its litter. The sender insists on sending a cheque. The sender issues a cheque for the wrong amount. It is not at all unusual for UK dog breeders to be approached by people from overseas with a view to exporting their pups. This is especially true in the case of certain specialist breeds. Wherever possible a breeder should not agree any ‘deal’ until they have actually met with the prospective new owners – not least for the purpose of screening the prospective owner for their suitability to own a dog. If the buyer happens to be overseas, ask for a phone number and chat with them. Ask as many questions as possible about their intentions for the new dog and find out what knowledge they have about the breed in question as well as its care requirements. If the buyer starts to sound uncomfortable with all the questions, be wary. Never send any money on trust in any circumstances. Always wait for payment to clear first. Quiz overseas buyers in great detail about their intentions – maybe ask about flight numbers, import regulations in their area etc to really see if they’ve done their homework and are genuine about acquiring a new dog. 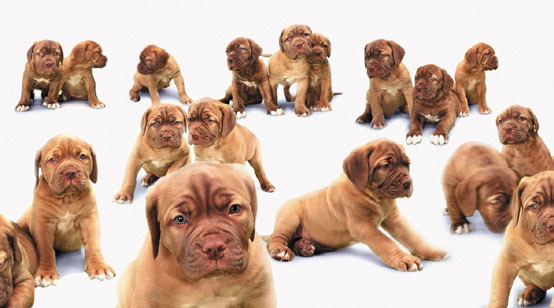 In all cases, breeders should be totally confident that their pups are going to good homes with responsible new owners and the way to do that is to strike up a detailed and regular dialogue prior to the pup being sold – the Internet is actually a perfect tool to do this but it is NOT the arena in which to actually execute a transaction, especially if the buyer has not been properly screened.